Meet the new love of my life, the acai bowl featuring healthy, antioxidant rich acai powder, strawberries, blueberries, blackberries and banana, blended to a thick & creamy smoothness. 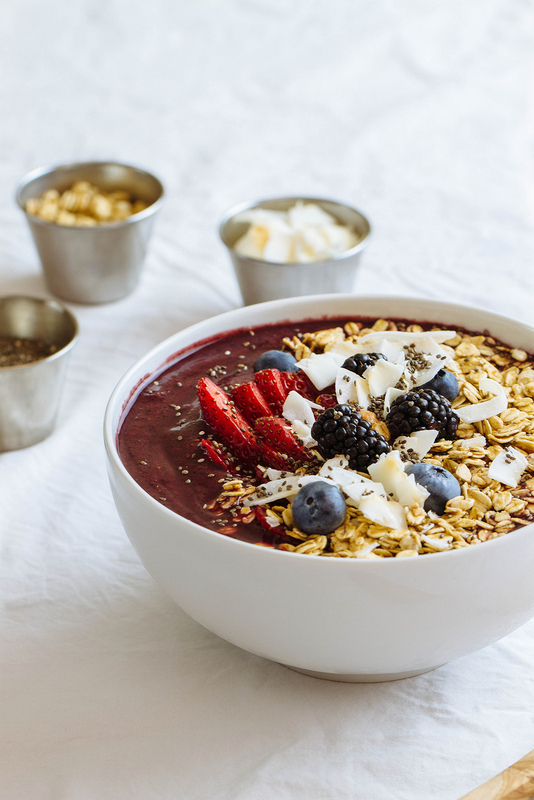 Packed with essential vitamins & minerals, acai bowls are the perfect smoothie elixir! Top off your acai bowl with an assortment of fruits, nuts, seeds and a good helping of crunchy granola and you’ve got yourself a great start to the day. But, the acai bowl isn’t just for mornings, you can enjoy one anytime time of day – morning, noon or night! Acai (pronounced ah-sigh-EE) has truly become something of a phenomenon. 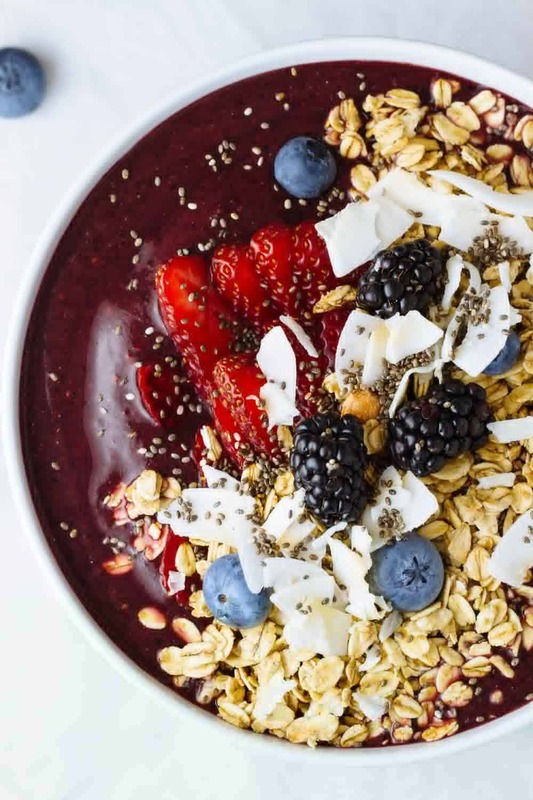 Specifically, the acai bowl has captured the hearts of many, and is right up there with avocado toast and matcha anything. 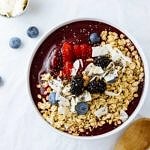 The acai berry itself is native to Brazil and has been touted as a ‘superfood’ for good reason. 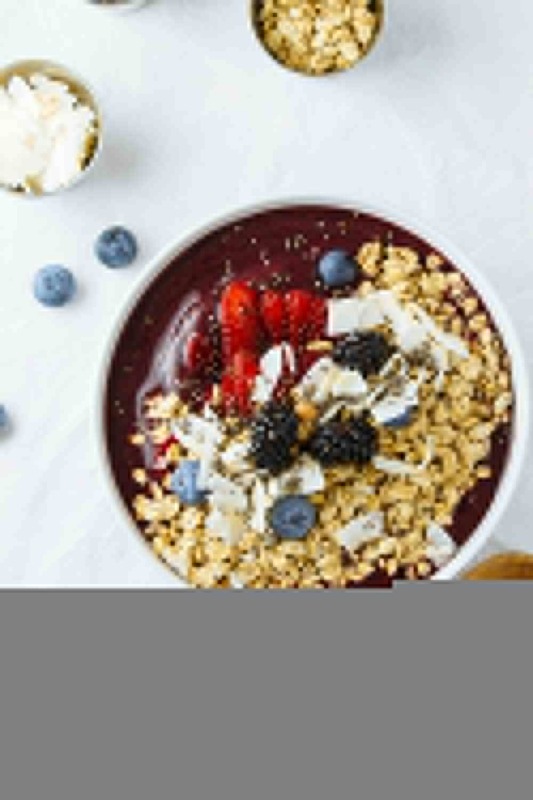 Similar to blueberries, blackberries and other berries, acai berries are packed with antioxidants, and are a good source of essential amino’s and omega fatty acids. Flavor wise, acai berries are a rich combination of black berries and dark chocolate. Delicious right! And when mixed with other berries it’s a healthy and flavorful ‘super berry’ cocktail. We’ll be using freeze dried acai powder. It can be found in most health-conscious stores or ordered online << affiliate link>. I use a mix of frozen berries (blueberries, blackberries & raspberries) and either one fresh or frozen banana. 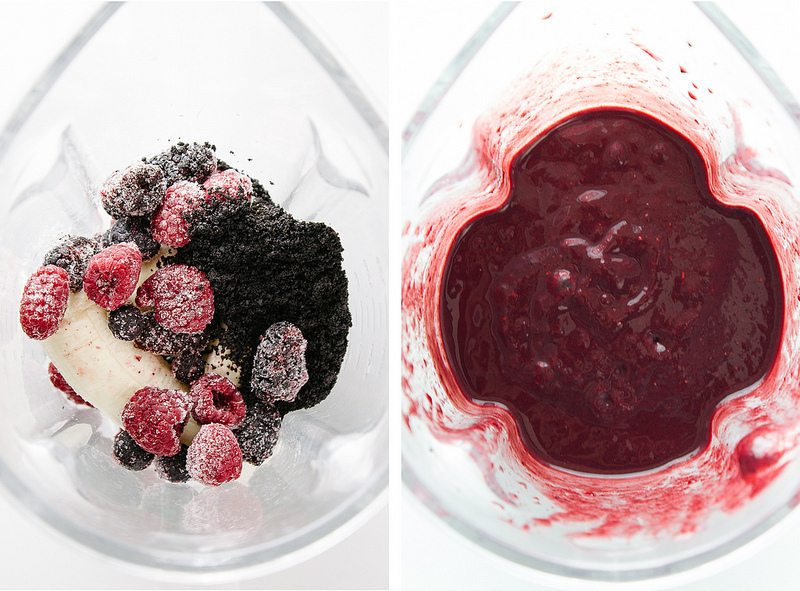 You can use any mixture of frozen berries you prefer. Even cherries would be great. For protein, add a scoop of your favorite protein powder. I like to add a serving of either hemp hearts or hemp protein powder to mine. A serving of nut butter would be ok too. Add various toppings such as sliced bananas, kiwi, raspberries, goji berries, cocoa nibs, granola, coconut, chia seeds, etc. Blend it all together, and top with what you have on hand or whatever is your favorite, and enjoy often! Because you can never have too many smoothie recipes, whether in a bowl or in a glass! Take a look at these other vegan smoothie recipes, you may just find a new favorite. See all Smoothie recipes on TSV! 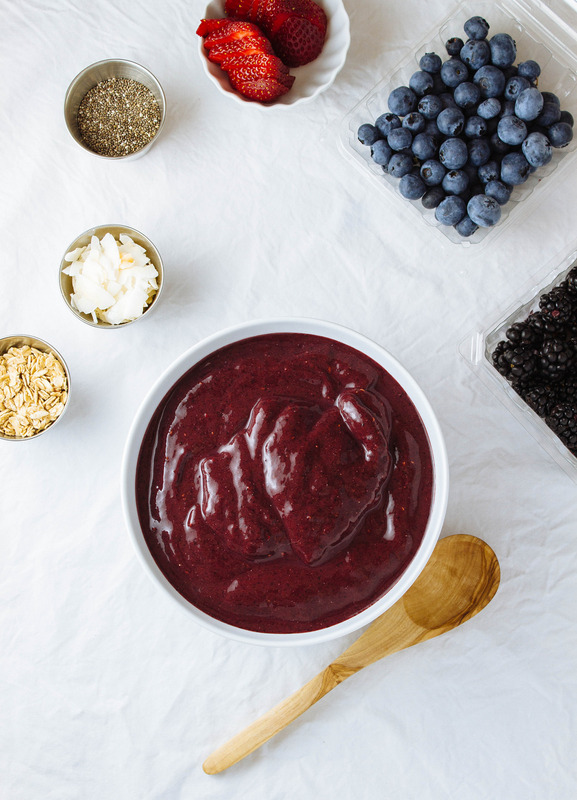 When the weather gets hot, lighten up and cool down with this classic acai bowl! In a blender, place the berries, banana, acai powder, optional protein source and water/milk. Blend until smooth. Add extra water if needed (most likely you won’t need any). Place in serving bowl and top with the suggested toppings or your favorite assortment.